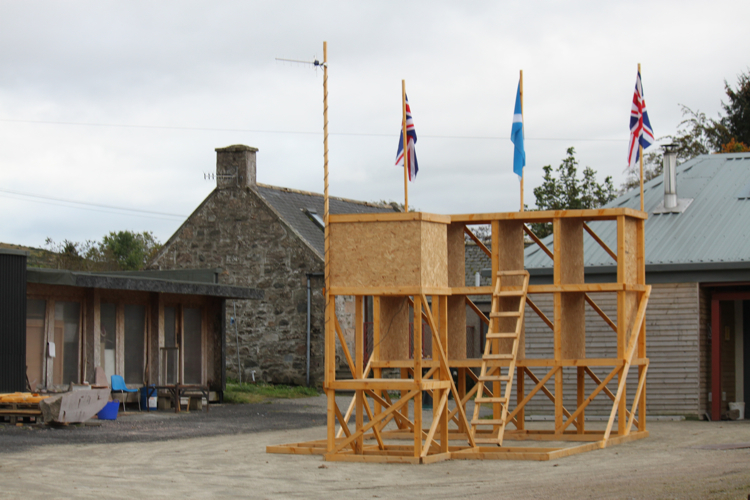 Solo work for Frontiers In Retreat, Scottish Sculpture Workshop. Triú, film set (no. 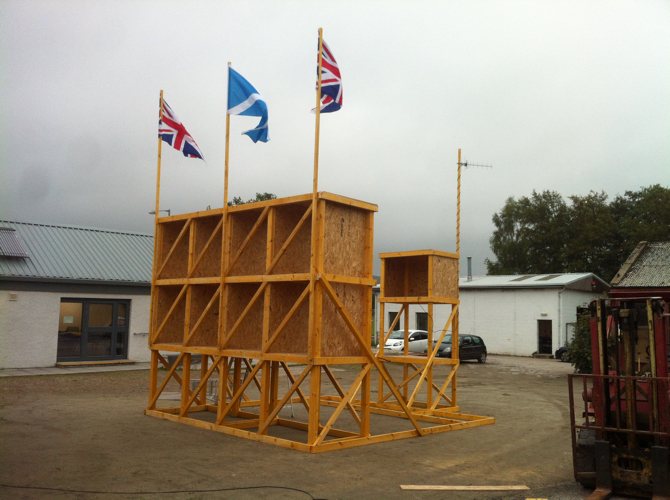 4), independent structure with power, television, signal receiver and sound equipment that plays the live BBC results of the Scottish Independence Referendum to a small audience (publicly advertised). White deal timber, plywood, television, signal receiver, ariel, speakers, flood lights, public signage, flags.